Es befindet sich kein Datenträger im Laufwerk.Legen Sie einen Datenträger in Laufwerk\Device\Harddisk1\DR1 ein. wenn ich dann auf Abbrechen,Wiederholen oder Weiter drücke kommt die meldung nach ein paar sek wieder. c:\Users\Claudi\AppData\Local\Temp\1021225.exe (Trojan.Agent) -> No action taken. c:\Users\Claudi\AppData\Local\Temp\1034092.exe (Trojan.Agent) -> No action taken. c:\Users\Claudi\AppData\Local\Temp\1211587.exe (Trojan.Agent) -> No action taken. c:\Users\Claudi\AppData\Local\Temp\1288613.exe (Trojan.Agent) -> No action taken. c:\Users\Claudi\AppData\Local\Temp\2770405.exe (Trojan.Agent) -> No action taken. c:\Users\Claudi\AppData\Local\Temp\2857881.exe (Trojan.Agent) -> No action taken. c:\Users\Claudi\AppData\Local\Temp\3330510.exe (Trojan.Agent) -> No action taken. c:\Users\Claudi\AppData\Local\Temp\3868447.exe (Trojan.Agent) -> No action taken. c:\Users\Claudi\AppData\Local\Temp\5062400.exe (Trojan.Agent) -> No action taken. c:\Users\Claudi\AppData\Local\Temp\5241278.exe (Trojan.Agent) -> No action taken. c:\Users\Claudi\AppData\Local\Temp\6722414.exe (Trojan.Agent) -> No action taken. c:\Users\Claudi\AppData\Local\Temp\7467381.exe (Trojan.Agent) -> No action taken. c:\Users\Claudi\AppData\Local\Temp\7782191.exe (Trojan.Agent) -> No action taken. c:\Users\Claudi\AppData\Local\Temp\8744865.exe (Trojan.Agent) -> No action taken. c:\Users\Claudi\AppData\Roaming\msnsvconfig.txt (Malware.Trace) -> No action taken. und hier der OLT - Text. Es bedeutet dass Malwarebytes die Funde nicht entfernt und du die Anleitung zu Malwarebytes nicht richtig gelesen hast! 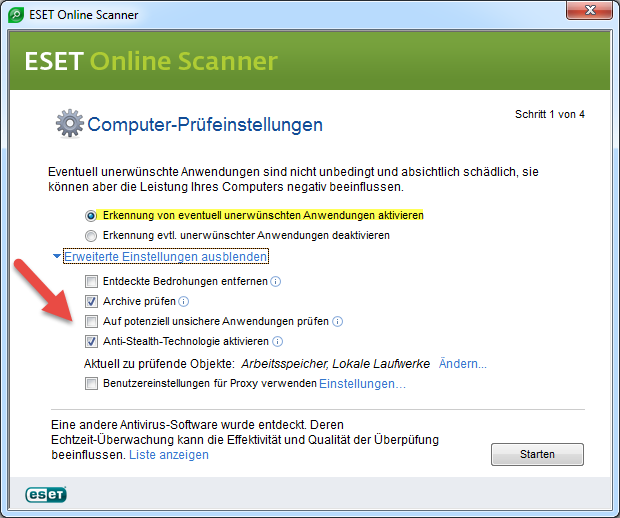 entschuldigung, ich habe nur das gemacht was oben steht ---> Bitte routinemäßig einen Vollscan mit Malwarebytes machen und Log posten. c:\Users\Claudi\AppData\Local\microsoft\Windows\temporary internet files\Content.IE5\JD18DISX\ok.exe (Backdoor.IRCBot.WR) -> Quarantined and deleted successfully. c:\Users\Claudi\AppData\Local\Temp\0085849.exe (Backdoor.IRCBot.WR) -> Quarantined and deleted successfully. c:\Users\Claudi\AppData\Local\Temp\0393594.exe (Backdoor.IRCBot.WR) -> Quarantined and deleted successfully. c:\Users\Claudi\AppData\Local\Temp\1046205.exe (Backdoor.IRCBot.WR) -> Quarantined and deleted successfully. c:\Users\Claudi\AppData\Local\Temp\1048486.exe (Backdoor.IRCBot.WR) -> Quarantined and deleted successfully. c:\Users\Claudi\AppData\Local\Temp\1096356.exe (Backdoor.IRCBot.WR) -> Quarantined and deleted successfully. c:\Users\Claudi\AppData\Local\Temp\3091123.exe (Backdoor.IRCBot.WR) -> Quarantined and deleted successfully. c:\Users\Claudi\AppData\Local\Temp\4330229.exe (Backdoor.IRCBot.WR) -> Quarantined and deleted successfully. c:\Users\Claudi\AppData\Local\Temp\4979210.exe (Backdoor.IRCBot.WR) -> Quarantined and deleted successfully. c:\Users\Claudi\AppData\Local\Temp\5315785.exe (Backdoor.IRCBot.WR) -> Quarantined and deleted successfully. c:\Users\Claudi\AppData\Local\Temp\6035350.exe (Backdoor.IRCBot.WR) -> Quarantined and deleted successfully. c:\Users\Claudi\AppData\Local\Temp\6531410.exe (Backdoor.IRCBot.WR) -> Quarantined and deleted successfully. c:\Users\Claudi\AppData\Local\Temp\7520662.exe (Backdoor.IRCBot.WR) -> Quarantined and deleted successfully. c:\Users\Claudi\AppData\Local\Temp\9838432.exe (Backdoor.IRCBot.WR) -> Quarantined and deleted successfully. c:\Users\Claudi\AppData\Local\Temp\9409659.exe (Trojan.Agent) -> Quarantined and deleted successfully. c:\Users\Claudi\AppData\Roaming\msnsvconfig.txt (Malware.Trace) -> Quarantined and deleted successfully. Das stinkt förmlich nach einer ISO-Datei aus einer illegalen Quelle! nach der neuinstallation.welches antivirenprogramm würden sie empfehlen! ?